Like stamp collecting, coins hold much personal interest for some, and financial interest for others. The most expensive coins in the world have brought their previous owners some seriously big cash deposits that would take anyone’s breath away. Sold for $7.85 million, the Flowing Hair Dollar has always been considered one of the rarest coins in history. 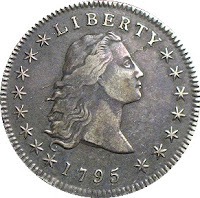 A Laguna Beach resident owned a Flowing Hair Dollar that was minted in silver in 1794. He was loathe to sell the coin but when offered a staggering seven plus million dollars, it was difficult to say no. He considers the coin a “national treasure,” and can rest easy knowing it’s in perfectly good hands with the Rare Coin Wholesalers of Irvine. Minted in the year of 1933, the Saint-Gauden’s coin is rated amongst the rarest coins in the world. Only 445,500 were printed in 1933, which was also the last year in which these coins were produced. Interestingly enough none of them were circulated and most were melted down. 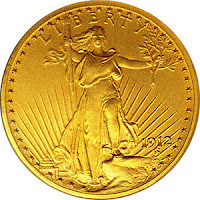 The coin eventually sold for $7.95 million, making it the second most expensive coin in the world. This is an extremely rare medieval coin. One would think that because it was minted in 1343 it would be considered the most expensive coin in the world. 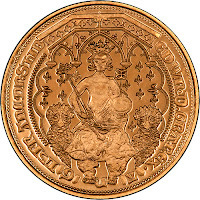 It was only in circulation from December 1343 to July 1344 and there are only three of these coins left in the world. It may not be the most expensive coin in the world, but it’s certainly the rarest. This coin comes with an exclusive history. The coins were divided into classes and only 15 were showcased at The King of Siam’s collection. There were eight coins in Class I (minted in 1834), one coin in Class II (minted in 1858) and six coins in Class III (minted in 1860). These unique coins were eventually bought in 2001 for a cool $4.14 million. Many people in the United States handle small change every day, all day, but many are not remotely aware that any one of the many Lincoln cents they handle such as the 1969-S Lincoln cents are exceedingly rare thanks to the double die on the ‘heads’ side of the coin. Only the mint mark is not double died. Mint marks were imprinted after the double die had been punched. These coins can be worth about $35,000. These are not the most expensive coins in the world but they’re still worth a pretty penny. That’s a lot of money for a few cents. This is a good time to go scratching through those old coins you threw in a shoe box under your bed. Who knows, you could have one of the most expensive coins in the world hiding amongst your dirty socks.